This tour takes you to the two famous Gorilla trekking national Parks Bwindi and Volcanoes Np . This Gorilla safari clearly gives you the answer to every one’s question of what is the best park to do gorilla tracking tour . The people doing this tour are ambassadors and by the end of this tour , they will give the future gorilla tracking tourists the best answers . You should not forget that every gorilla tracking experience is different. Bwindi national park lies in the South- Western Part of Uganda . It is located 540 km from Kampala and is accessible on a 414 Km (4- 5 hours drive) Tarmac high way and 120km murram road from Kanungu-Kanyantogoro which may also take you 4-5 hours because of its situation. The local community here operates a village walk. Bwindi has 2 gorilla tracking sites which include Buhoma and Nkuringo . Buhoma has 5 habituated families which include; Rushegura, Mubare, Habinyanja, Bitukura and Oruzogu while the southern part which is 10km from Buhoma has Nkuringo , Nshongi, Mishaya. Other gorilla trekking families in Uganda include Nyakigezi in Mgahinga . Volcanoes National park also has 8 gorilla trekking groups which are for visitors and 2 more for researcher but are sometimes open for tourists in the high peak season when the demand for gorilla permits are high . They include; Amahoro family with 15 individuals – found on the Visoke volcano, Hirwa family with 12 Gorillas found on the Sabinyo volcano, Umubano family with 7 individuals found on the Visoke volcano, Sabinyo family with 10 gorillas found between the Sabinyo and Visoke volcanoes, the famous Susa family 35 gorillas which located high on the Karisimbi volcano but it takes a long and strenuous hike to find Susa, Group 13 with 21 gorillas found on the Sabinyo volcano, Kwitonda family with 10 gorillas found on the Sabinyo volcano, sometimes in Democratic Republic of Congo and thus off-limits to trackers. A representative from AA safaris and tours will pick you up from your hotel in Kampala or Kigali and transfer you to Bwindi Gorilla National Park . Along the way , you will take a stopover at the Equator . Later you will transfer to Mbarara or Kabale for lunch . Then later proceed to Bwindi National park . Have your breakfast early enough and then your guide will pick you up from your lodge and transfer you to the UWA offices for briefing and then later . Start trekking the gorilla forest as you search for the gorillas. Note that gorilla tracking can take 2 to 7 hours. The time taken to see the gorillas is unpredictable however an encounter is a worthwhile. Stay with the gorillas for 1 hour and then later transfer back to your lodge for dinner and over night . Day 3; – Transfer to Volcanoes National Park. Wake up and take your breakfast early enough. Later assemble at the ORTPN Offices for briefing . The guide will transfer you to the ORTPN Offices and later to the starting point of your gorilla tracking tour with AA safaris and tours ltd. Track gorillas with the guidance of the rangers who will lead you through the trails and help you search for gorillas with an idea off where your allocated gorilla family always stays or where it was the previous day. An encounter of the gorillas is a awesome experience ! One may say that it is a worthwhile after the long and many hours gorilla trek. After some time with the gorillas, you will return to your lodge for dinner and over night . We sometimes suggest a transfer to Kabale if gorilla tracking ends early to shorten the distance between Rwanda and Kampala or a transfer to Kigali for a flight out of Kigali . Day 5; Transfer to Kampala or Kigali. Take your breakfast and then transfer to Kampala or Kigali. Lunch en route . 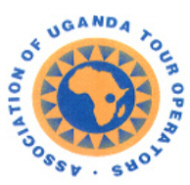 End of your Rwanda and Uganda gorilla safari with AA safaris and tours Ltd. Note: that bookings for a gorilla tracking tour much in advance to enable us reserve your gorilla tour. Also note that you can choose a family of gorillas to track in Bwindi in advance provided there is availability however , families for gorilla tracking in Rwanda are allocated at the site on the actual day of tracking . Also note that accommodations for Bwindi are allocated according to the gorilla permits available and booked for you.